The springs are in charge of supporting the weight of the door panels. If they belong to the torsion type, then they twist and unwind in order to do so. If they belong to the extension type, then they contract and stretch instead. Our technicians can replace and maintain both options safely. A typical homeowner may end up using their garage door upwards of seven times a year, and that's only if they use their door twice a day on average. The more you use your door, the more its springs will suffer from wear and tear damage, and the more damage they endure, the less they'll end up lasting. There is a way to make sure these components live up to their full potential. Our technicians can regularly inspect their condition and apply the proper lubrication. This will ensure that their operation remains smooth and effective. Spring adjustment is another great way to increase the longevity of these components. Over time, their tension and weight distribution will need to be adjusted in order to make sure the door doesn't get off balance. When a spring breaks, other parts of your door get damaged as well, so effective spring maintenance can actually help you prevent a lot of potential accidents later on. 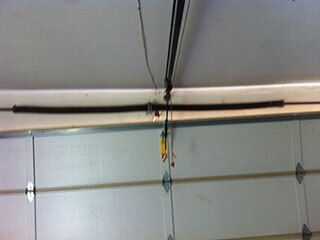 Extension or torsion spring replacement is not a process that should be attempted by armatures. The dangers involved make this procedure require precision tools and professional training. Not to worry. Our experts at Garage Door Repair Elmhurst have over a decade's worth of experience and can help you deal with every type of spring related problem. Call us today.